Ironically it's precisely the "undermining of NATO defense" that has Washington concerned related to the S-400, given the potential for compromising the F-35 advanced radar evading and electronics capabilities as Russia could get access to the extremely advanced Joint Strike Fighter stealth aircraft, enabling Moscow to detect and exploit its vulnerabilities. 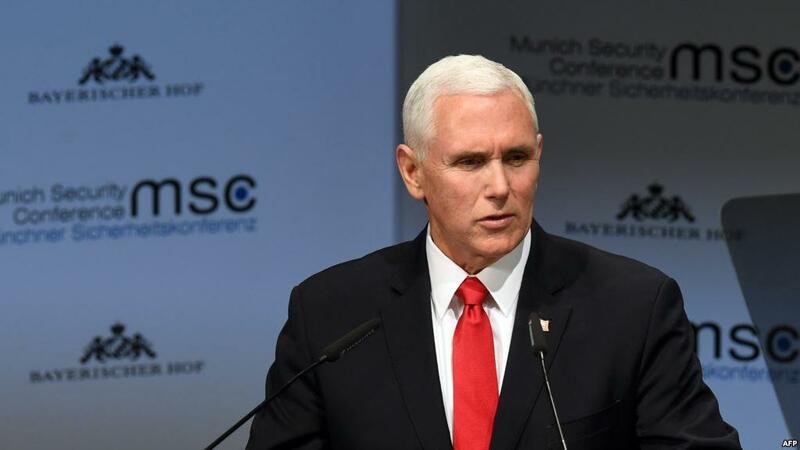 Pence said during a speech Wednesday at the "NATO Engages" summit in Washington, DC: "We've also made it clear that we'll not stand idly by while NATO allies purchase weapons from our adversaries, weapons that threaten the very cohesion of this alliance." "Turkey's purchase of a $2.5 billion S-400 anti-aircraft missile system from Russia poses great danger to NATO and to the strength of this alliance," he added, warning further that Turkey could face serious consequences. While Turkey's VP didn't specify which "terrorists" the US would be taking sides with as part of his response, there's little doubt this was a reference to Syrian Kurdish militias which has also been the source of tensions given ongoing US support to the Kurdish-led Syrian Democratic Forces (SDF) just across Turkey's border with Syria. Over the past year Washington has repeatedly warned against Turkish forces foraying deeper into Syria to fight Syrian Kurdish militants. On Wednesday Turkey sought to calm US fears of compromising NATO's systems, as Foreign Minister Mevlut Cavusoglu stated, “[S-400s] will not be integrated into the NATO system,” and further suggested establishing a multi-party technical group that would ensure the air defense system “will not be a threat” to any advanced western systems, the F-35 included. Both the US and Turkish Vice Presidents publicly sparring this week will likely only harden Erdogan in his position. Turkey again reminded the world last Friday that, "We have signed a deal with Russia, and this deal is valid. Now we are discussing the delivery process," according to words from the foreign ministry on Friday after he came out of a meeting with his Russian counterpart FM Lavrov. He added that "We have an agreement with Russia and we are bound by it." The first Russian S-400 delivery is expected in July. Both last week President Erdogan and Turkish officials have remained unwavering in declaring "it's a done deal" in the face of US threats.